When it was time to move their new Distribution Centre, Wesco Distribution Canada awarded the contract for storage systems to Meriton Industries. It included the planning, supply and install for a range of different systems to maximize the space utilization of their 98,500 square foot distribution centre, and allow them to store and retrieve efficiently their wide variety of products ranging from small electrical parts to oversize lengths of conduit and very large reels of wire cable. The entire range of storage systems had to meet or exceed current government safety standards and allow their vast fleet of rolling equipment to operate efficiently in the chosen configuration. Meriton, in collaboration with Cresswell, recommended a range of roll-formed racking systems for palletized goods, cantilever racks for the oversized bundles of pipe and conduit, parts shelving for the hand picking of small parts, and a number of custom designed systems for the storage of offcuts and vertical lengths of tubing. 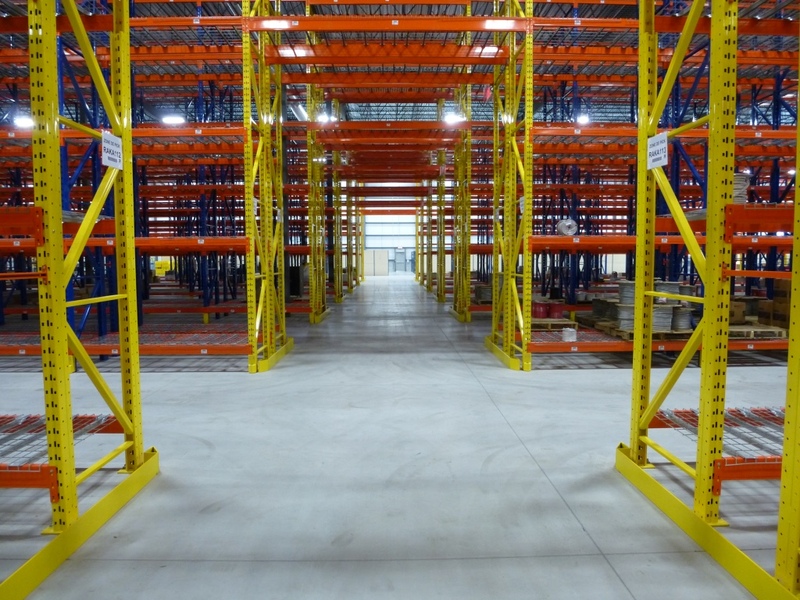 The distribution centre is now the model for future warehouses for the Wesco group across North America. Of particular interest are the custom designed wire payout racks. These specially reinforced racks hold the large reels of various cables that must be cut to length on a daily basis, based on custom requirements of their clients. A floor-mounted machine automatically measures and cuts the particular cable to the length entered from the picking bill, and rolls it into a coil that can be shipped via their fleet of trucks. Operating at near full capacity, Wesco has been able to leverage the efficiencies of their new distribution centre to ship from this central location, instead of from a network of small, relatively inefficient local centres. Wesco remains a satisfied customer of Meriton working on further expansion together.